The time to buy figs is now. 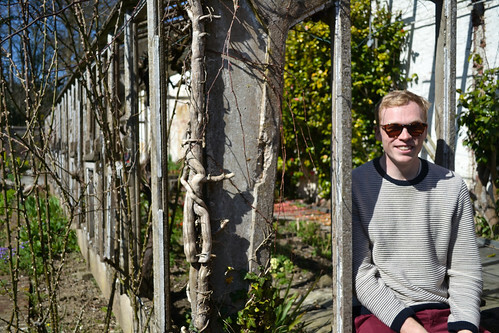 With the season in full flow – but nearing its end – a glut of both foreign and local fresh figs has gripped the nation. 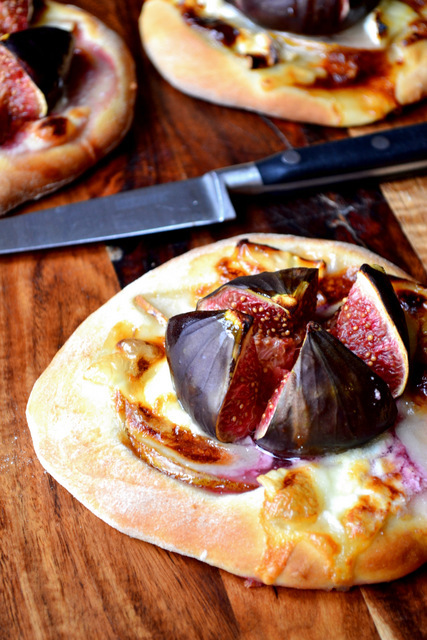 Get them now, while they’re still cheap and try your hand at my quick and easy recipe for Individual Fig and Goats Cheese Pizzas; one of my favourite recipes for fresh figs. 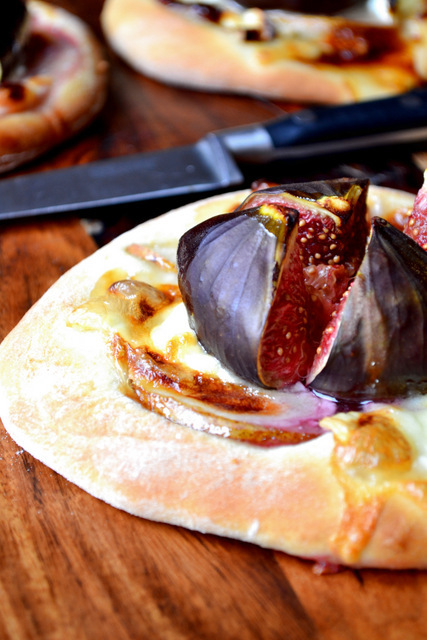 With sweet and savoury aspects equally prevalent, these pizzas make for intriguing little starters that – provided you have dough to hand – won’t take at all long to make. Picking the right figs for the job is incredibly important. Once picked, figs will not ripen further; so don’t choose in anticipation. Picked ripe, figs are soft and delicate, so it can also be difficult to find undamaged fruit. If possible, buy locally grown figs as they are more likely to have the perfect fragrance and texture; they should be covered with a light, fuzzy bloom and emit a sour smell. For best results, make sure to consume your figs within a day or two; they rot quickly. Filled with what seems like thousands of tiny seeds, graced with a shape akin to a short, fat pear and endowed with a luxurious colour, fresh figs are one of the more attractive fruits in existence. 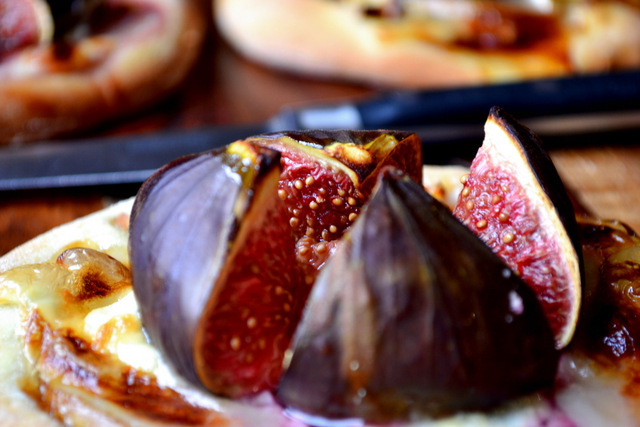 Though they make a wonderful addition to mains and desserts, the objective beauty of figs means that they are best employed as the focal point of a starter. With such a distinctive look, taste and smell, relegating figs to the sidelines of a dish is tantamount to sugary sacrilege. Besides, if it’s the “wow-factor” you’re after, you can do little better. Take your 4 small balls of dough and roll them out into circles of around 6 inches in diameter. Pre-heat your oven to 220C/200C(fan). Place the pizza bases on a floured metal tray, or transfer to the oven once assembled if using a pizza stone. Layer 4 thin slices of pear atop each pizza. Slice the figs in quarters, leaving the fruit intact at the base so they don’t fall apart. Place the figs atop the pear slices. 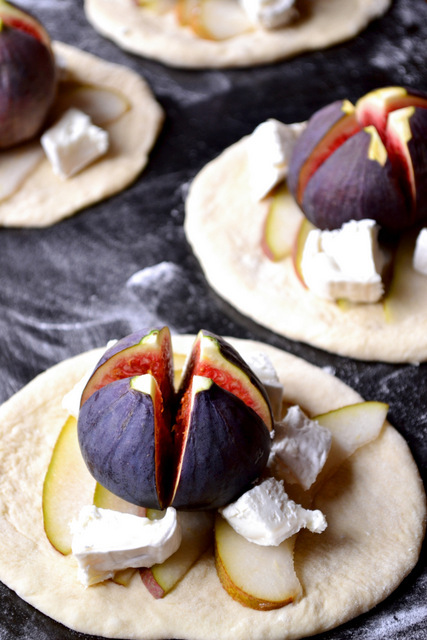 Drizzle each fig with 1 teaspoon of honey and scatter with the chunks of goats cheese. Add a twist of black pepper to each pizza. Bake for 5-8 minutes, until golden-brown and fully risen. Eat immediately or within a day. Cost: This is the best time of the year to buy figs; they are at their best and cheapest. Unfortunately, I couldn’t find any local fruit so had to make do with Turkish, which set me back £1 for 4. It’s difficult to complain at that price. Indeed, the entire batch of pizzas came to only £2.50. These look AMAZING!!!! I am definitely going to try these!!! Thank you! They were fantastic and very simple. Am missingmy fig tree in Spain 🙁 Beautiful pizzas! yum! figs with cheese saltyness sounds good! Yes, it all works wonderfully well. But this looks lovely. Well done! They’ll be back next year! I can’t wait. Lovely!…A sprinkle of walnut kernels, on top, or a drizzle of walnut oil would be wonderful too! A lovely idea! Give it a go.